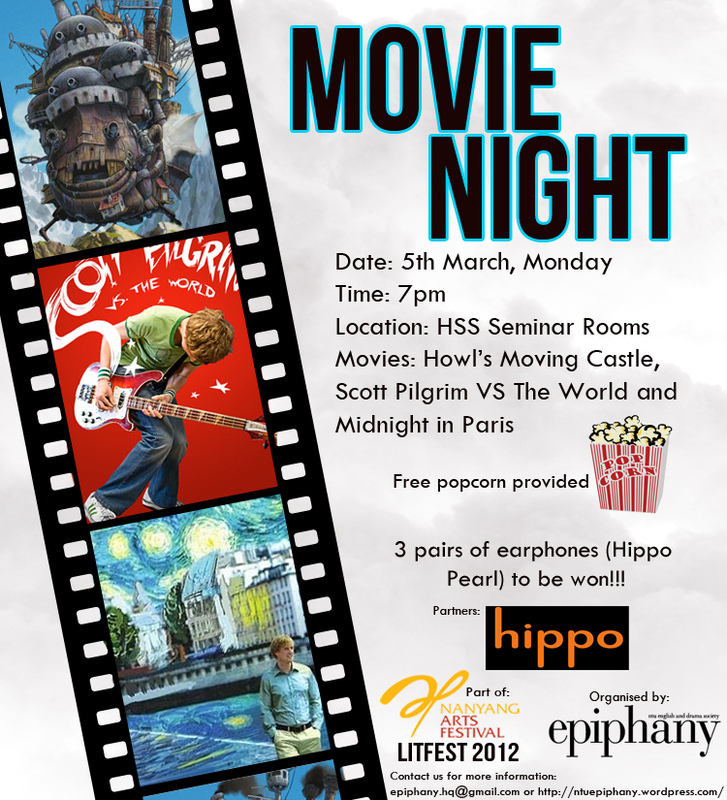 As part of Litfest 2012, Epiphany is working together with Word Forward to organize NTU’s first ever Poetry Slam! The slam is slated to happen on the 7th of March (Wednesday) at our usual spot, the HSS Black Box (NTU School of Humanities and Social Sciences B2) from 7pm to 9pm. Attractive prizes to be won, proudly brought to you by our partners Caran d’Ache and Jaben, and also our sponsors The Pigeon Hole and Baggu. 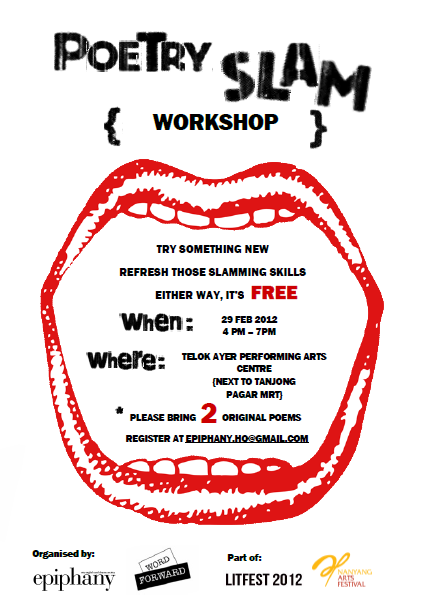 Don’t worry if you have never taken part in a slam before, for there is a Poetry Slam workshop (absolutely free-of-charge) to help you prep. Don’t forget to bring 2 original poems written by yourself to the workshop.